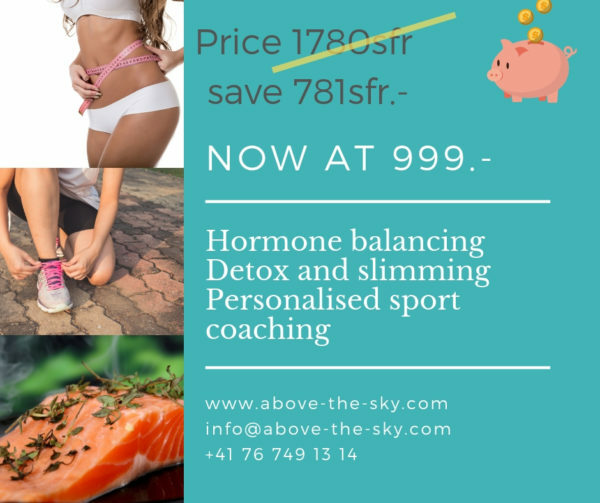 The Hormone and slimming Reset challenge will show you how to reset and balance your hormones so that you feel energised, shed a few kilos and learn how to stabilise your weight through nutrition, movement, high tech treatments and a healthy mind-set. Kerry will guide you through the 28 day process so that you have personalised support through the whole program. Sophie will send you weekly mission to achieve and perform personalised high tech treatments with ultrasound, RF and energetic body massages to eliminate the toxine and tonifie your body. Stella will be the one who will help you for personalised sport coaching sessions during these 28days. You will also have continuous support from group members in the private FB group. We will go through any challenges, changes, questions you may have. You will complete and return a health questionnaire prior to starting the programme. Should you have any specific requirements or concerns that need to be taken into account eg: Thyroid Autoimmune disease, a 20 min 1-1 with Kerry will be arranged. This lists all the foods that you CAN eat while on the programme. A selection of delicious food, soup and juice recipes to help you plan your menu. One of these sheets needs to be filled in prior to the programme starting and the other needs to be filled in on completion of the programme.